Schach DVD The Ragozin Defense | Videolektionen | Eröffnung | Training | ChessBase | Schachversand Huber - Spielen Sie eine Partie Schach ! 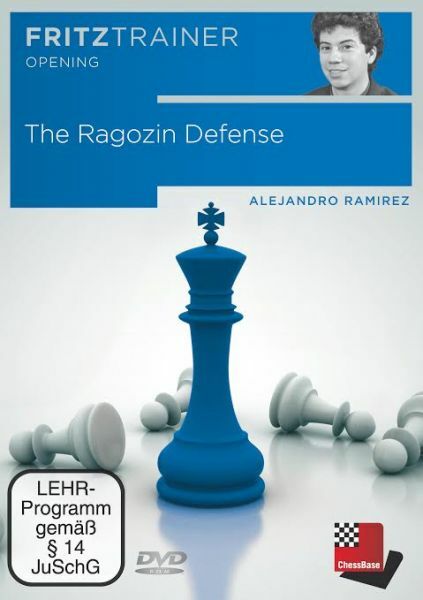 Produktinformationen "Schach DVD The Ragozin Defense"
complex while trying to minimize any claim that White might have at an opening advantage. The lines given are the latest word in theoretical knowledge. We analyze every single move that White can play once the Ragozin is reached, but due to several transpositional possibilities we always emphasize why we are playing our own moves and which strategic goals we keep in mind. My motivation for doing the Ragozin stemmed in my own search for an opening that would allow me to play interesting chess without an insurmountable amount of risk. Although I believe in the Benko Gambit, it is not possible to play every game down a pawn! The Nimzo- Indian set-ups are currently the most popular way of meeting 1.d4, and inside that the Ragozin is the variation that is surging as the most theoretically important. Alejandro Ramirez is the only Grandmaster from Central America and achieved his title at the age of 15. Since then he has played in top level events including the World Chess Championship in 2004, three Olympiads and he was the winner of the 2010 US Open. Alejandro is now a prolific chess writer on www.chessbase.com. Kundenbewertungen für "Schach DVD The Ragozin Defense"